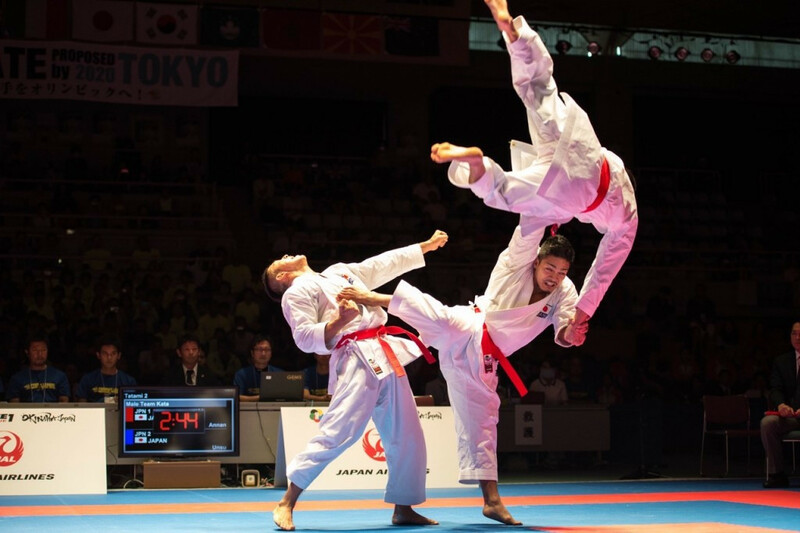 Hosts Japan ended the World Karate Federation (WKF) Karate1 Premier League season in commanding fashion as they claimed six of the 10 kumite gold medals on offer as well as the team kata title to round off the campaign in style here today. Amid hushed silence in the arena, the success for the home nation began in a dramatic manner as Ayaka Tadona landed with an attack in the dying seconds to oust Bettina Plank of Austria in the final of the women’s under 50 kilograms category. Li Ranran of China and Japan’s Miho Miyahara were the other two competitors to claim podium finishes as they both ended the 2015 season with bronze. 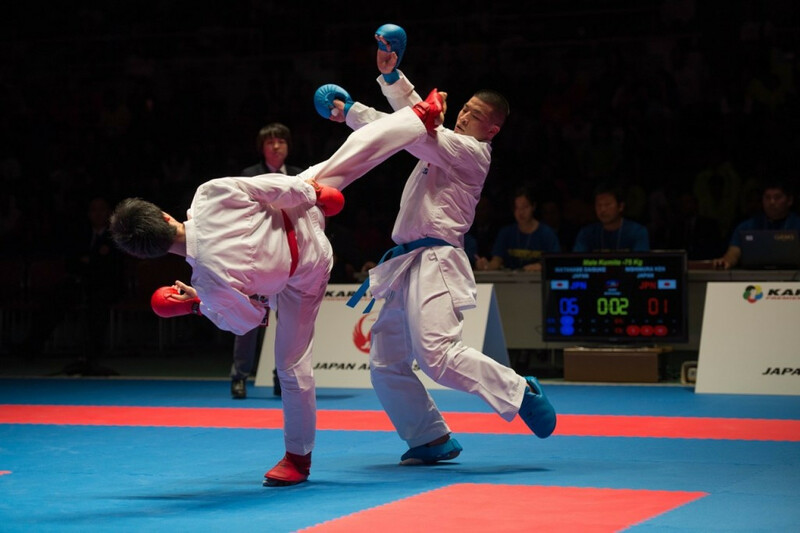 Japan were then guaranteed gold in the men’s under 60kg competition as Shohei Toyama, silver medallist at the most recent Karate1 Premier League event in Salzburg, faced compatriot Eiki Onishi. In what proved to be a frenetic final, Onishi had the measure of his opponent from the off and he controlled proceedings on his way to taking gold by a comfortable 4-0 scoreline. Bronze medals in the category went to Taihei Hanaguruma, also of Japan, and Indonesia’s Imam Tauhid Ragananda. Mayumi Someya, bronze medallist at last year’s World Championships in Bremen, then made it a hat-trick of titles for the Japanese karatekas as she beat China’s Yin Xiaoyan in a scrappy affair, landing a score midway through the contest which was enough for her to earn under 61kg gold. Brazilian Maike Steffen Machado De Oliveira took home bronze, while the other spot on the podium was secured by Ayami Moriguchi of Japan. Another all-Japanese gold medal match followed, with Daisuke Watanabe getting the better of Ken Nishimura, who won under 21 silver at this year’s World Cadet, Junior and U21 Championships, thanks to a 6-1 thrashing in the men’s under 75kg. 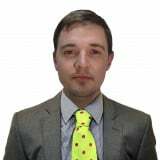 Hiroki Hagi ensured a third karateka from the home nation finished on the podium and the event also yielded a rare medal for the United States as Tom Scott sealed bronze. World Championships under 84kg runner-up Ryutaro Araga looked in fine form as he swept aside Iran’s Zabiollah Pourshab with a trouble-free 5-1 triumph to bag his nation’s fifth gold, while bronze medals were awarded to compatriot Koki Kamaguchi and Germany’s Noah Bitsch. Under 21 world champion Natsumi Kawamura was then handed the women’s over 68kg title after team-mate Ayumi Ueksa, bronze medallist in Bremen last year, withdrew before their bout due to injury. This brought the total number of Japanese kumite golds to six and nine overall following the two individual kata successes yesterday and the team kata triumph today. China’s Gao Mengmeng and Russia’s Vera Kovaleva earned bronze. Despite largely dominating the day’s kumite matches, the hosts didn’t have it all their own way as Austria’s reigning European under 68kg champion Alisa Buchinger justified her billing as the pre-tournament favourite with a confident display in a 3-1 success over Japan’s Kayo Someya, whose late flurry proved to be in vein. Inga Sherozia helped Russia pick up their first medal of the Karate1 Premier League finale as she claimed one of the two third-place berths along with China’s Tang Lingling. It was also a fruitful outing for Brazil as they were at the double, with Valeria Kumizaki, who triumphed on home soil in São Paulo earlier on in the season, clinching the women’s under 55kg crown by virtue of a solitary score in her bout with Taiwan's Tzu-Yun Wen. Sara Yamada added to the Japanese medal haul with bronze along with Slovakian Viktoria Semanikova. Kumizaki’s team-mate Vinicius Figueira, who finished outside of the medals at the Pan American Games in Toronto, continued the Brazilian momentum by winning a hard-fought men’s under 67kg clash with Wei-Chieh Tang of Taiwan. Japan’s Hiroto Shinihara and Yves Martial Tadissi of Hungary claimed a bronze medal apiece. The final Karate1 Premier League kumite contest of the year provided a nervous ending to the competition as Azerbaijan’s Shahin Atamov and Sajad Ganjzadeh of Iran were locked at one apiece in their men's over 84kg bout before the Iranian was given the victory by the judges. Shintaro Kuniyoshi of Japan took bronze as well as Troy Sutter, whose third-place effort pocketed South Africa their solitary medal of the event. Unsurprisingly, the host nation finished at the summit of the medals table with nine golds in a total haul of 26.